For today's blog entry, Greg Michaels, author of The Secrets of Casanova (Booktrope Editions, 2013), reveals why he chose one of history's most notorious libertines for his novel's protagonist—and the unexpected discoveries he made while researching Casanova's life. I’d had my fill of the walking dead. Couldn’t stomach another twelfth-century zombie. Was bored to tears with vampire heroes. Not to get too personal about a whole generation of folks, but for those of us who survived the wild and crazy ‘70’s and ‘80’s—well, I’ll talk about just me—by the turn of the new century I was in need of a bit of redemption. If nothing else, it was imperative for me to discover what I really felt about life, religion, salvation, the metaphysical, afterlife, etc. You know—the pesky subjects. Now what’s that quote? “When the student is ready, the teacher will appear.” A teacher, an historical figure, appeared just as I was primed for a spiritual lesson or two. That is, a guy’s biography practically jumped from the bookstore shelf into my sweaty palms. And I bet you know whose biography it was. Casanova lived from 1725-1798, during a period that was later called The Age of Reason. From your high school history class, you’ll effortlessly recall The Age of Reason as a time of scientific thought, skepticism, and intellectual interchange that challenged the established order, especially government and religion. Religion! Wasn’t that one of the subjects that was troubling me? “This ain’t gonna be no coffee table book,” I finally decided. No, Casanova leaped from each biographical page. He was larger than life, an icon of the Western civilization, bigger than a coffee-table book. Why, even the meek and mild Merriam Webster Dictionary defined a “Casanova” as “a man who is a promiscuous and unscrupulous lover.” Ah, here was a decadent cad upon whom I could hang my literary hat. Here was an antihero who could lurch from decadence to redemption in three-hundred pages. And, by the way, did I mention that some called him genius? But wait, unbelievably there was more that could fit my literary needs: as a young man, Casanova began his training in the priesthood—until he was expelled from the seminary for dissolute behavior. Later, after particularly frustrating life experiences, he twice considered checking into a monastery. I began to suspect that beneath his debauched behavior there was some spiritual underpinning to the man, a kernel of decency. Casanova’s biographer didn’t buy a word of it. But maybe it was up to me to decide? Oh also, along the way, I discovered that Casanova rubbed shoulders with kings, queens, philosophers, popes, pimps, prostitutes, and adventurers. This libertine knew life from the gutter to the church spire. Fabulous! Casanova’s character—or lack of it—excited me. The way he lived his life electrified me. Could I—in a novel—bottle some of his exuberant spirit, his intellectual prowess, his damning deficiencies? As a protagonist, what questions might Casanova ask? What could he find? What would be the dramatic result? Casanova himself says “I did not stop to discover if what was leading me on was vice or virtue.” What a vast literary license that provided! And why not put a smart, brave woman at his side? For moral balance. Whole-heartedly I chose Casanova as my main man. With my pen I’ve sent him on an epic journey throughout Europe in a search for his heart, mind, and soul. 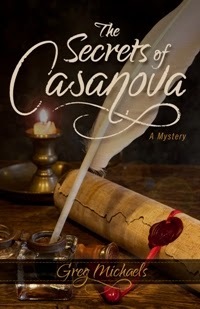 Now dear blog reader, if you’re in need of a little adventuresome “therapy” for past transgressions—even if all your evils took place in this twenty-first century—may I humbly suggest The Secrets of Casanova? 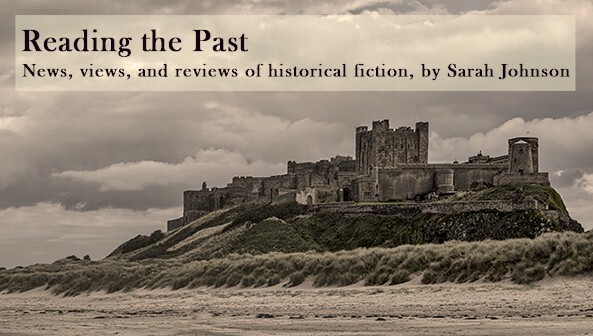 This historical novel will present few “answers” but be assured, there are plenty of those pesky, soul-searching questions. And mystery, romance, and adventure. 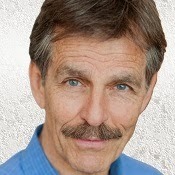 Greg Michaels received his BA in anthropology from the University of Texas at Austin, a chance experience thrust him into a career as a professional actor and fight director. To date he's acted in fifty theater productions, more than forty television shows, and choreographed dozens of fights for stage and screen. In The Secrets of Casanova, Greg again proves his skill at telling a theatrical story. He lives with his wife, two sons, and Andy the hamster. About The Secrets of Casanova: Paris of 1755 is bloated with opportunity. That’s the way Jacques Casanova, an unredeemed adventurer with an ever-surging appetite for pleasure, needs it. But times, men, and gods are changing—and Jacques’ luck is fading. When he is thrust to the center of a profound mystery, he doesn’t care if vice or virtue leads him onward. “After all,” he declares, “a man who asks himself too many questions is an unhappy man.” But as Jacques’ challenges mount, what questions will he ask? What price must he pay to uncover a treasure of inestimable value? Loosely based on Casanova’s life of intrigue, peril, and passion, Michaels’ The Secrets of Casanova will keep you burning the midnight oil. Sounds great - it goes on the list! That "kernel of decency in a man" theory is dangerous, as every woman knows.